Sometimes it takes seeing things on a map to get a clearer picture. Hover over the markers for more information about the race and ethnicity of students attending these schools. Hover over the map portion until you see the map controls in the upper left corner of the map to zoom in to get more detail. 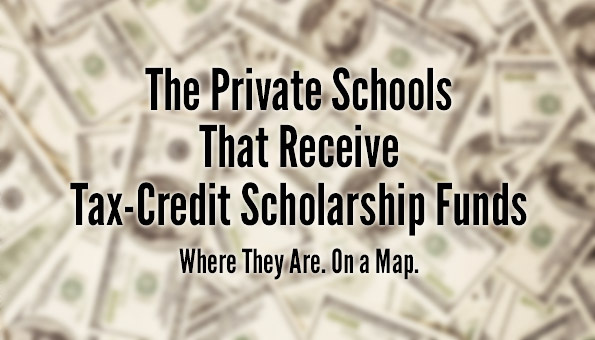 Here’s a map of only the private schools that are receiving scholarship funds. Mike Cason, al.com, wrote this when the numbers were first released last week. These numbers reflect the first of the new quarterly reports required due to changes passed by the Alabama legislature during the 2015 session. The total number of scholarships for the year could change, and the dollar amounts awarded will certainly change, as some SGOs indicated they disburse funds quarterly or by semester. This information deserves a closer look. Stay tuned. *CORRECTION AND UPDATE: This article and map were updated on October 29 at 11:30 a.m. to remove 6 schools from the “failing” public school list in accordance with changes enacted by the legislature through SB71. Those changes removed the schools that were “labeled as persistently low-performing by the State Department of Education, in the then most recent United States Department of Education School Improvement Grant application”. That included the schools on this list. However, some of the schools on that list were also included on the schools “listed three or more times during the then-most recent six years in the lowest six percent of public K-12 schools on the state standardized assessment in reading and math”, and those schools are still included.